Oxford Home Study Center (OHSC) offers a free online course in Event Management. Free online event planning courses that OHSC offers contain the same high-quality teachings as the paid courses. This free event management course has been designed specifically with distance learning in mind, providing an entry-level overview of both the industry and the profession. There are no deadlines or time restrictions. All course materials are supplied free of charge. The ‘five Ws’ of event creation and how they apply to the creation of an event concept. 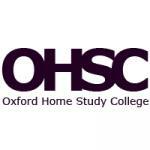 Note: On course completion, you will be awarded our FREE OHSC certificate issued by the College. This certificate will be sent to you in your email.